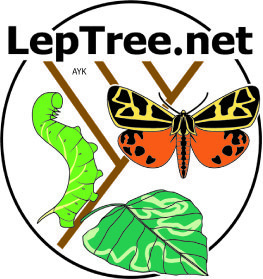 With support from the National Science Foundation's Assembling the Tree of Life program, we have joined with Dr. Jerome Regier and lepidopterists around the world in a community-based Tree of Life project, one goal of which is a robust estimate of relationships among all 127 lepidopteran families. These studies are aimed ultimately at identifying and understanding major transitions in lepidopteran ecology, particularly larval feeding habits, and their evolutionary consequences. As of February 2013, five papers on molecular phylogenies of particular superfamilies and one higher-level study of 115 families have been published (see Recent publications); eight additional papers on groups of superfamilies are in preparation.Those studies focussed on data obtained by Sanger-sequencing of 19 nuclear genes. Additional molecular studies, now in progress, involve next-generation sequencing of non-normalized transcriptomes, in an attempt to achieve fully-resolved phylogenies by the use of very extensive sequence data from over 1000 protein-coding genes.These studies are being done in collaboration with Dr. Michael Cummings of the Center for Bioinformatics and Computational Biology (University of Maryland).